The idea of what constitutes luxury is clearly subjective, yet for most people it involves jetting off to a faraway place in opulent surroundings. Of course, it depends what you’re used to, as some people wouldn’t consider a trip to be luxurious unless they were flying first class, or perhaps even in a private jet – this article isn’t quite for that demographic. That said, if you’ve ever looked into how much does it cost to charter a private jet, then you’ll know it’s not actually as much as you might think. 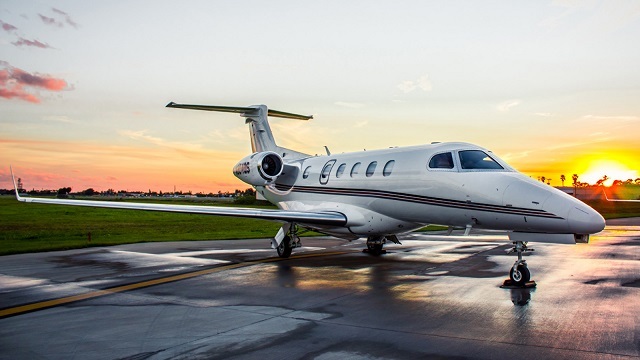 Indeed, if you’re travelling as a large family or group of friends, sometimes chartering a private jet can even save money – rarely – but it’s possible! This is particularly the case if you’re flying from quite a remote location, or somewhere that isn’t particularly well connected – particularly in the US, where for instance, a 30 minute plane ride from Huntsville (AL) to Atlanta (GA) can cost $200! Now we’ve established that everyone’s idea of luxury is different and this article isn’t going to be all about caviar and champagne, let’s dig into some of the best destinations to live a luxurious life on a budget. However, before we do that, let’s look at a few principles of squeezing the most from your budget in order to have a more luxurious experience. If you want a luxurious experience without paying the steep fares for business class, then you can follow this simple trick and get a business class-like experience that will feel much more VIP than your regular travels without costing a fortune. Most airports have premium lounges, where First Class and Business Class customers get access to food, alcohol, super fast WiFi, massage chairs and sometimes even real-life masseuses. Did you know that you can pay to access these lounges, as a normal passenger of any airline – even low cost airlines? There are a number of passes available that allow you to use premium airport lounges throughout the world, for a very reasonable amount of money, in fact, sometimes these perks are included for free with a premium bank account or credit card. The more flexible you are with your flights, the cheaper they will be, as flight seats are sold off in bands; for instance, Band A might be $100, then Band B is $120, with Band J priced at $240. Once Band A tickets have been sold, Band B g on sale, and so on… meaning, the earlier you book the cheaper the flights tend to be. Of course, sometimes, airlines will discount a significant number of tickets close to the time, as the plane does not have the occupancy it should do by that point – but the general rule is to book in advance, and be as flexible with dates as you possible can be. There’s nothing more frustrating than paying $300 for a flight, that you know, the next day is being sold at $120! That said, you can’t always be flexible with your dates, as flights must fit around life rather than the other way around – and most people travelling, are doing so as a vacation from work, meaning they have a specific window. You should get yourself onto a flight comparison site such as Momondo or SkyScanner that compare routes and prices for most major airlines. This way, you can save a small fortune on the cost of your ticket… and it’s particularly helpful if you’re not too sure where you want to go, as you can search by country rather than city, or simply search “Everywhere” as your destination – meaning the cheapest flights from your departure airport will be shown, to everywhere in the world! You also want to use sites such as TravelSupermarket to compare hotel prices – as whilst you might have a favourite platform such as Hotels.com or Expedia, often the same hotel will be sold off at different price points by each of the OTAs (online travel agents). Therefore, using a comparison engine like this will transparently show what each OTA is charging for the same room. Moreover, with comparison sites, you tend to find a much broader range of properties to choose from as they are searching most major bed banks and online travel agents to bring you the best deals. The concept of save and splurge means you want to save on certain things, that don’t matter too much (e.g. car rental) but then splurge on once in a lifetime activities such as swimming with the dolphins or skydiving. There are many ways you can save money whilst travelling, particularly when it comes to food – yet it shouldn’t be all about saving money, as, after all, there should be an element of luxury to this trip. Therefore, what if you were to have picnic lunches for two days (rather than eating out) so that with the money saved, you can afford a Michelin starred tasting menu! That is the perfect example for save and splurge. Now that we’ve covered the basics, let’s take a look at three destinations to live life like a king (or queen) without it costing a fortune. Morocco has been somewhat of a mecca for tourists looking for something a little more edgy, for decades, yet nowadays the market has turned very upmarket with a number of elite riads (palatial houses) catering to an affluent audience. A riad experience is not like anything you’re likely to have encountered before – there’s a certain intimacy yet refinement that makes one feel very much like ‘king of the castle’. Indeed, some riads come with a ‘house boy’ that acts as a concierge though the dynamic is such that it can feel like something from Arabian Nights, where you are the master of the house. Marrakech is a great place to visit in Morocco, albeit intense, particularly in the summer heat that can get up to fifty degrees celsius! Here, you’ll find the souks and cultural hub that is Morocco’s most frequented tourist town – whilst retaining a very traditional and authentic feel to the city. Then, if you wanted a little more adventure you have the Sahara Desert at your doorstep, or the coastal town of Essaouira, just a couple of hours drive away, which is a cooler and more relaxed place to chill out than Marrakesh. Thailand has something to offer everyone; as a culture, Thai’s are known for being great with children and are very accomodating of families. At the same time, they welcome all types of travellers from budget backpackers to hedonist honeymooners. The great thing about Thailand, from a cost perspective, is that even though it’s relatively expensive when compared to places such as Indonesia, it has good infrastructure and the quality of five star accommodation tends to be of a five star standard. Indeed, there’s nothing more frustrating when travelling to different countries and their rating system isn’t on par with what you’re used to. In Bangkok, for instance, you can get a decent five star hotel of a recognised brand such as Westin or Le Meridien for less than $100. If you go for a less well known brand, that is of a five star standard, then you could bag a bargain in the region of $50 – which is the same price as many rundown motels in the states. Then, we have the food. Thailand is known for its food, and when you consider the price of something such as prawn fried rice in most countries being in the region of $10, in Thailand, you can find this for just $1 (if you know where to look). Most tourist places, of good quality, will charge more in the region of $3, yet, given the freshness and size of the prawns in question – it provides exceptional value. Whilst India isn’t at the top of most people’s luxury travel bucket list, there are some really good options for luxury travel to be found in India. The prices are cheap, which means you can live very well for very little – and in India, there is the option for extravagant places, unlike neighbouring Nepal or Pakistan where very few options exist for people seeking luxurious comfort. If you head down toward Kerala and Goa, for instance, there are a number of wonderful properties that you can find on Mr and Mrs Smith which will set you back a fair amount, but provide phenomenal value. And, when you think about luxury travel that doesn’t cost a fortune – that’s what your focus should be – value. We often focus way too much on how much something costs, when it tends to be a more sensible approach to look at the value that’s offered. For instance, a hotel that costs $100 but provides a phenomenal service and opulent experience versus a hotel that costs just $20 but is next to a busy road with horns honking all night long – the more expensive option tends to provide much better value. When you go kayaking, it is important that you have the right kayak. Kayaks come in many different forms and one of the most important parts is the seat. 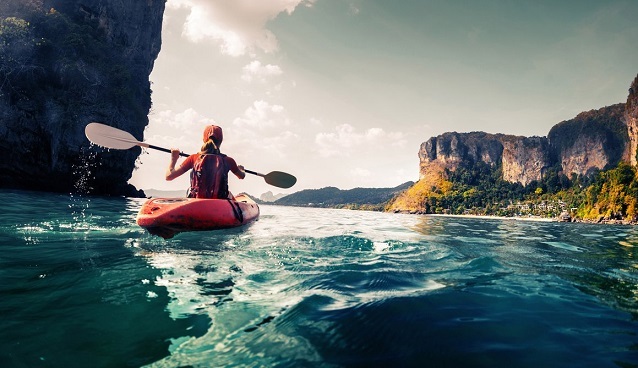 If you’re going to be kayaking for long periods of time, you will need your seat to be comfortable and suitable for any sort of back pain that you might have. This is why we have put together some tips on what you should look for in a kayak seat. Make sure to keep reading if you’d like to find out more. It is very important that your kayak seat has good back support if you are planning on using it a lot. You will want to be able to stay out there for as long as possible without getting a sore back. This is why you should look for a seat with a heightened, reinforced back. This article suggests that this sort of seat can help to support your mid-back and shoulder region. Don’t sacrifice height for style if you want to have back support in your kayak. Kayaking can be very strenuous, and it is important that you are as comfortable as possible. This is why you should try to choose a kayak seat that has some good cushioning. The material that the seat is made from is very important and you should aim for one with gel pockets which can make the whole experience a lot more comfortable. When choosing your kayak seat, you should also remember that there are different types of kayaks. It is important that you know which sort of seats will fit in sit-on-top kayaks and which ones will fit right inside your kayak. Makes sure that you don’t invest in one that won’t fit in your kayak as this can be very disappointing. If you are going to spend a lot of money on a new kayak seat, then you will want to choose one that is durable. This is especially important for those who are going to be paddling through some tough waters and want to be able to depend on the kayak seat for a long time. Make sure that you do your research and find a seat that is going to be durable and not get destroyed after a few trips. Our final tip for those choosing a new kayak seat is to make sure that the design suits what you are looking for. You might have already chosen your kayak and so you will want to make sure that your seat looks good in it. For many people, their kayak is a possession that they are proud of and so there is no shame in choosing one with a nice design. It is important, however, that you remember not to compromise durability or comfort for fashion. Make sure to follow these tips when choosing your next kayak seat. The Mediterranean is home to a number of beautiful, picturesque landscapes. Among these, Crete stands out at one of the most breath-taking. Greece’s biggest island is home to a number of things that we think of as being characteristically Greek. From the eponymous Greek salad to feta cheese, even the famous mythical Minotaur, Crete has inspired many of the defining features of Greek civilisation. While the Greek mainland is home to a large number and diverse array of culturally and historically significant sites, the island of Crete still retains a great deal of its original atmosphere. Being an island separated from the mainland, Crete has not had the same kind of cultural evolution as the rest of Greece. This makes Crete much more traditional in many ways, and it is a large enough island to support a culture that is subtly different to most of Greece. 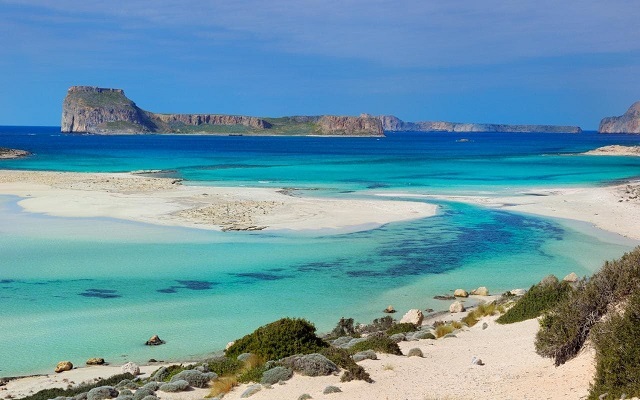 There are several reasons why you should consider visiting Crete next time you are in the mood to take a Mediterranean holiday. Here are just three of the best reasons to visit Crete at least once in your life. The legend of Theseus and the Minotaur is one of the most famous from Ancient Greece. The Minotaur was the bane of Minos’ (the King of Crete) rule over the island. The Minotaur was imprisoned in a labyrinth beneath the King’s castle but demanded a yearly sacrifice of 14 people, seven young men, and women. Theseus, the son of the King of Athens took exception to the arrangement. He sailed to Crete and defeated the Minotaur. Using a thread, as suggested to him by Ariadne, the Cretan princess, Theseus was able to find his way back out of the labyrinth again. Needless to say, the actual story is a lot better than that summary! The whole tale is set in the ancient city of Knossos. In fact, this is Europe’s oldest city and today is an archaeological site well worth visiting. Knossos was the centre of the Minoan civilisation, to which King Minos belonged. It is a truly fascinating experience to see the ruins of this mythical city and to compare the famous legend with the historical site. Knossos is also located near to Crete’s largest city, Heraklion, making it a really fantastic day trip to take. Most schoolchildren in the UK will study the Ancient Greeks at some point. If your children are learning about Ancient Greece and the Greek myths, this is a really wonderful opportunity to make their learning a little more interactive. If there is one thing that the Mediterranean region is known for, it is the idyllic coastlines. When we think of glistening golden sands, dampened by the rhythmic tidal flows of deep blue waters, it is the Mediterranean that most of us are imagining. Crete is renowned for the beauty of its mountains and cliffs, but these are far from the only types of landscape the island has to offer. There is a long list of beaches on Crete. And really, you can’t go wrong with picking one! Even if you arrive at a beach that isn’t to your liking, there is a whole coastline of alternatives! One beach that does deserve a special mention is Matala. Matala contains a network of caves that housed a group of free-spirited hippies during the 1960s. Speaking of which, the caves and cliffs that mark the Cretan coastline are worth exploring themselves. If you are planning on staying in one of Crete’s urban centres, and you want to make sure that you are bang in the centre where the action is, then like most European cities, you will be looking at Hotels or Airbnbs for accommodation. However, while Crete is a pretty big island, it is small enough that transporting yourself around it is nice and easy. It’s not so small that you can travel everywhere on foot, but it is small enough that you can stay in an authentic, relatively rural villa, while still having easy access to the major towns and cities on the island. There are a number of holiday companies who offer Villas in Crete, among them Blue Villas, which have these villas in Crete. Blue Villas is one of the best established and most popular. Their villas are perfectly situated to balance the remoteness and privacy of a rural setting, with access to the more modern trappings that Crete has to offer. Greece is a very popular holiday option. The unique cuisine, culture, and history make Greece one of the most enriching places to visit, but the island of Crete remains somewhat overlooked. Crete is, as some islanders like to joke, more Greek than Greece. If you are fascinated by this place, and the myths and legends it has spawned, you should definitely consider visiting Crete.